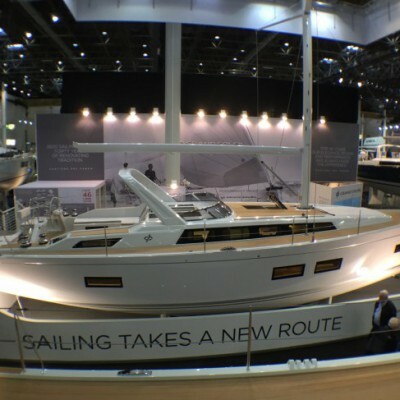 With the 46 LC, the Italian boat manufacturer Grand Soleil presented their new range of sailing yachts at this year’s boot Düsseldorf. 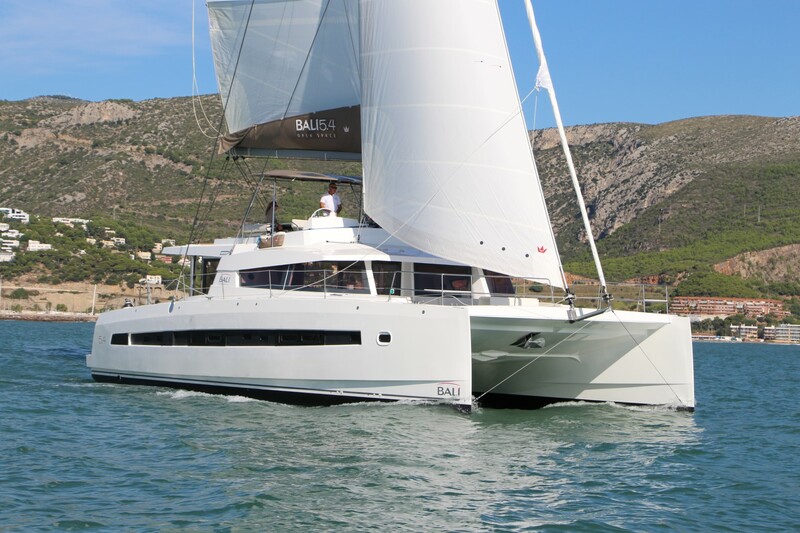 The Grand Soleil 46 LC is one of the best yachts designed for safe and comfortable sailing, even without too many crew members. The renowned and often mentioned Nauta Design designed a functional, stylish and winsome interior layout. The huge saloon abounds with air and natural light, which is emphasized by light colors of furniture. The galley is located to the left of the entrance to the saloon, whereas there are two bedrooms behind the entrance, one of which is a double berth cabin, connected with the main toilet and shower compartment. On the other side of the saloon, there is a master bedroom. It is equipped with its own toilet and shower compartment and a king-size bed. The rest of the saloon is decorated with comfortable settees around the large dining table and the skipper’s corner. This space can be turned into a large lounge area. The layout of the exterior and deck has very elegant lines and other interesting details. 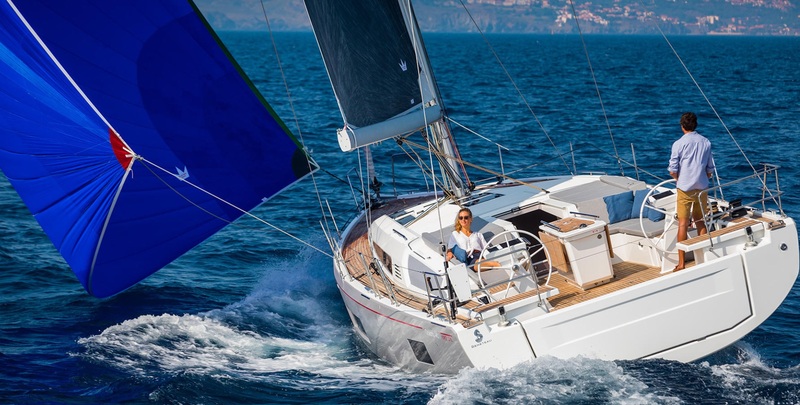 The mainsail sheet is attached to the dominant rollbar, making the life on board more comfortable and giving the Grand Soleil 46 LC a sporty look. The same rollbar is also the place where the cockpit bimini is held while sailing. Another bimini top is located on the front coach roof, creating an additional lounge area at the bow with adjustable cushions. The same can be done in the cockpit. There is a twin steering wheel system responsible for comfortable control of the sailing maneuvers, while sheets are laid under the deck, giving an extra elegant look to the yacht. The foldable stern platform has a ladder attached to itself, making it easy to enter the water. The Grand Soleil 46 LC has overall length of 14.72 m, with the maximum beam of 4.41 m. The yacht has a draught of 2.30 m, while the 1.80 m keel is optional. The 46 LC is powered by a 75 HP engine, which receives fuel from a 300 l tank. Fresh water is stored in a 600 l water tank. Depending on the interior layout, the Grand Soleil 46 LC can accommodate 6-9 persons. Do not forget that “LC” stands for “long cruise”, so do not consider this boat just a fancy holiday yacht. The total of 112m² is not here just as decoration. If you are interested in chartering a sailboat, visit Sailboat Charter Deals!